Home / Fish / Five more ‘photographer’s friends’: Fish I love to shoot! 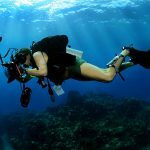 In an earlier post I mentioned how Hawkfishes make excellent subjects for the underwater photographer and just how useful they are when I’m on an assignment and I need to ‘bag’ some fish portrait shots. It’s always good to see them, in case you don’t get anything else. 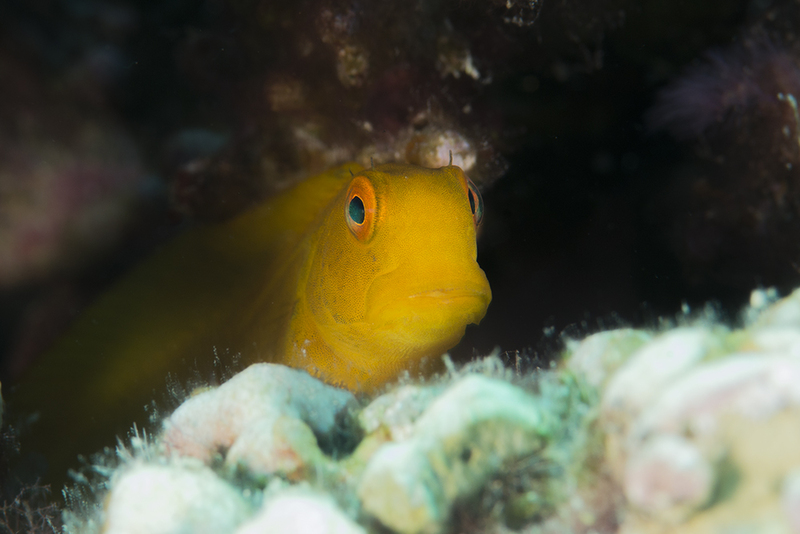 Well, here’s five more of my favourite fish for portraits, maybe a bit less common than Hawkfish, but always welcome. You might recognise some of them. 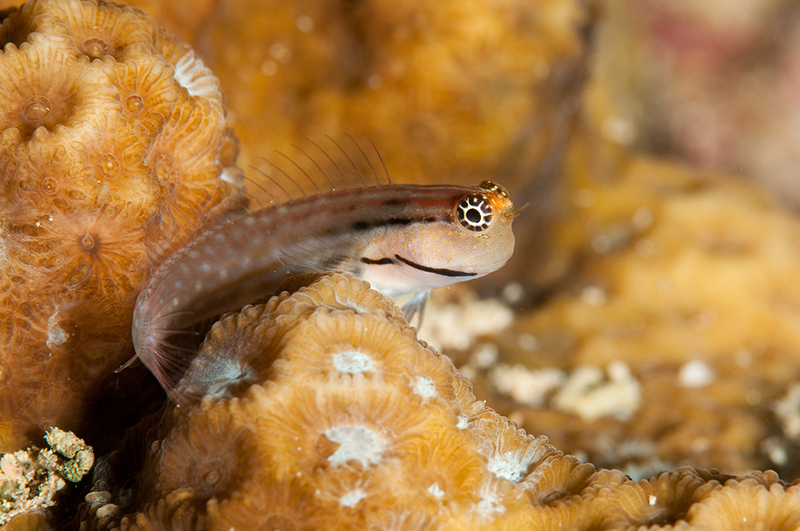 One of my favorites is the appropriately named Leopard Blenny (Exallias brevis). 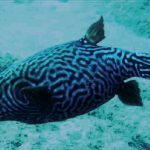 This wonderfully marked fish can reach almost fifteen centimeters and is quite widespread, being found from Hawaii to South Africa. 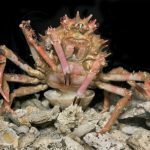 It is quite shy, though its camouflage gives it some confidence as it rests up in the branches of Acropora, Pocillopora, and Porites corals. 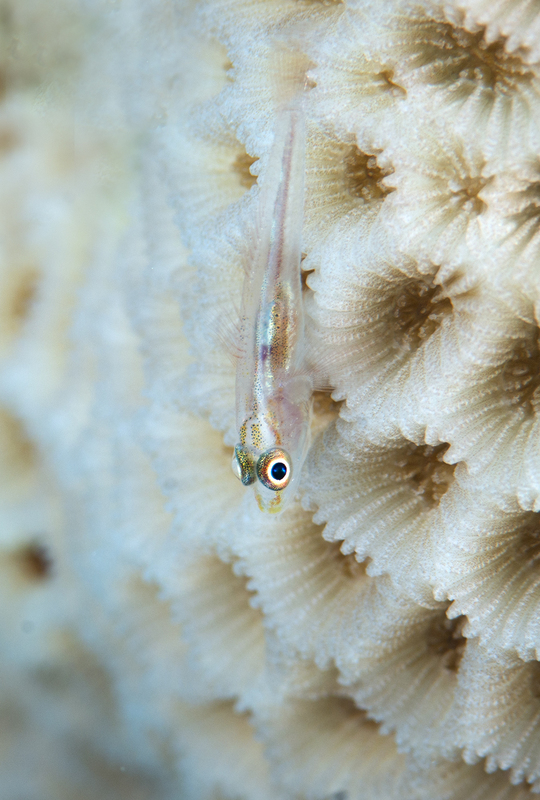 Next up is Escenius gravieri, a strongly-marked blenny that mimics the venomous species Meiacanthus nigrolineatus. 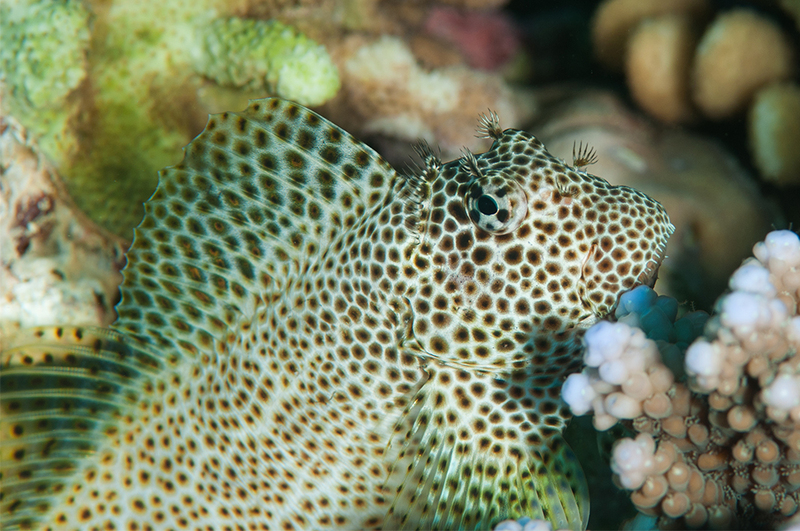 This is a species you’ll only find in the Red Sea and the Gulf of Aden. For me, it’s one of the nicest in the genus. 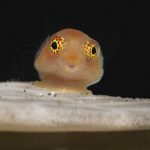 Dentex blennies (E. dentex) are truly wonderful little fish (5-6cm). 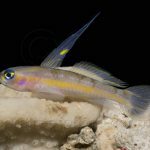 Happily they are easily approachable, as is a tiny little fish that I think is Bryaninops erythrops. For a while, I seemed to see these less and less, until I get a new contact lens prescription and was able to see them once again. They are only a few centimeters long at the most. My last fish was initially a little confusing. 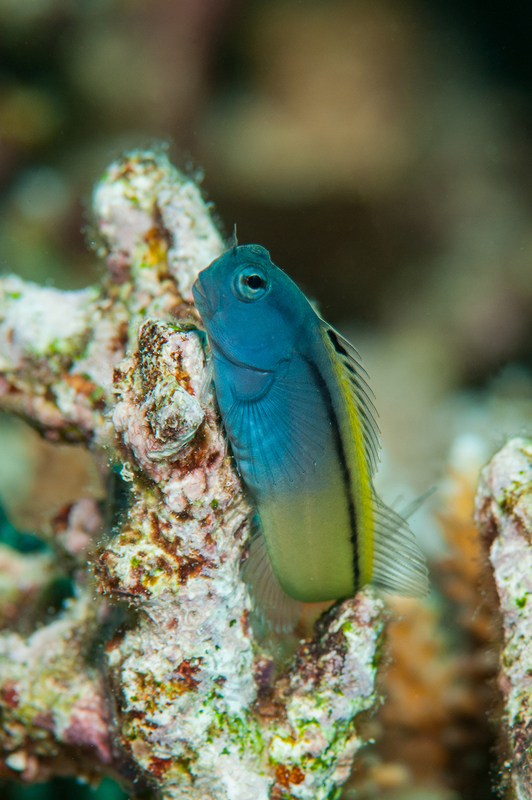 When I spotted it, I thought it was a Midas Blenny, but then they all have blue markings on the eyes. It turns out this is a particularly colorful specimen of Atrosalarias fuscus, possibly a youngster? If I’m wrong on this, please let me know!